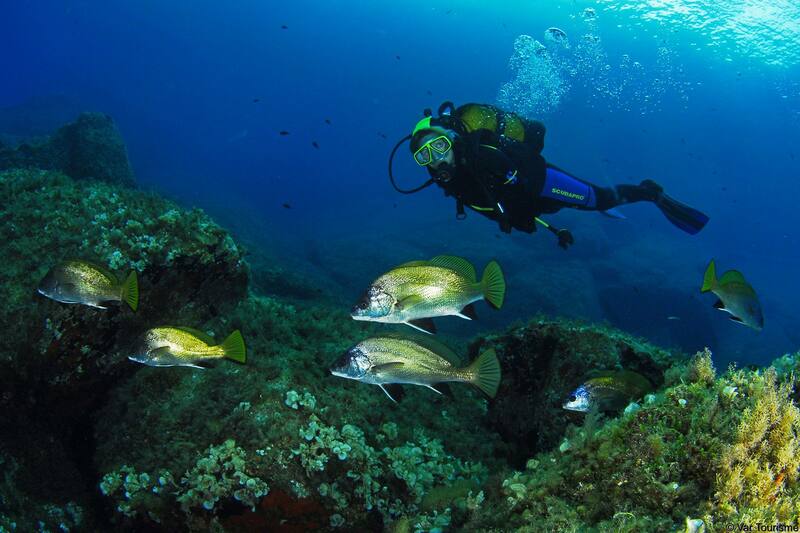 Diving enthusiasts, every year you have the chance to take a week for yourself to explore a new diving location. 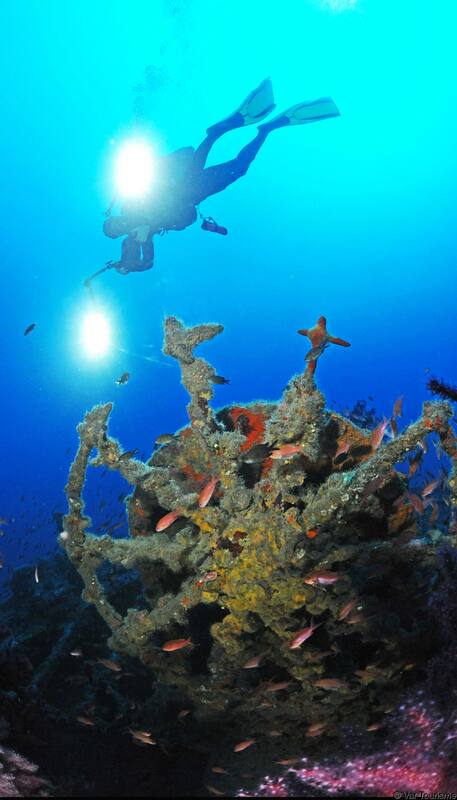 This year, why not choose the Var for amazing dives and a special shipwreck programme around the Iles d’Or and Cavalaire. For my first trip, I met up with friends in Bormes-les-Mimosas. It was in September, after the summer crowds had left, and they had reserved rooms in the Relais du Baou. Between us, it was excellent value for money and had a great location just a short walk from the diving centre – perfect! With a calm atmosphere and friendly evenings, it had everything to stay in shape and ensure our itinerary went to plan. 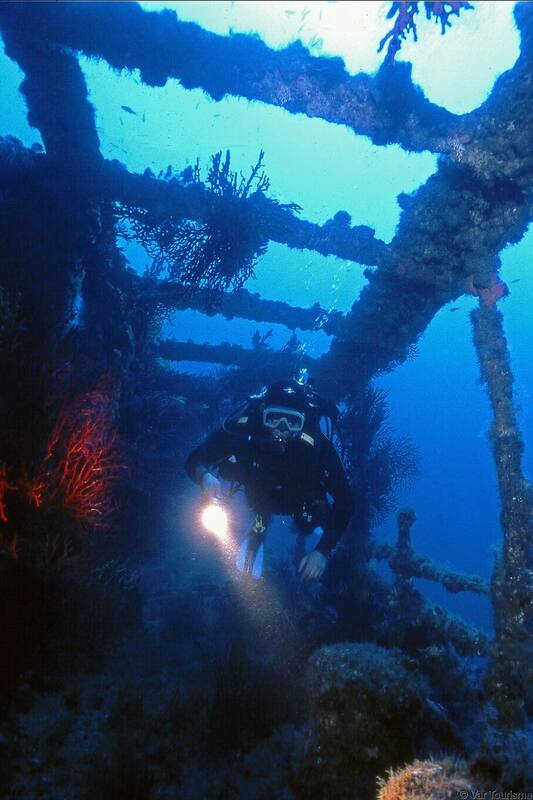 The Iles d’Or, covered by various diving centres, has an extensive collection of outstanding shipwrecks – even though I knew about them, I couldn’t contain my surprise. Apart from the nostalgia emanating from the pieces of sheet metal and history frozen at the bottom of the sea, there is an extravaganza of all the species that have made these wrecks their home. Exploring these submerged worlds was a moving experience. Honestly, I didn’t expect to become so infatuated with this area. All of the coast around Lavandou and the Giens peninsula is the best! Between the sporting challenge, the charm of roaming around the forgotten hulls and gangways of mythical shipwrecks, and the incessant fascinating display of the dentex, wolf-fish, bream and grouper fish amongst the magnificent red coral, the experience was overwhelming. I’ll be coming back soon, that’s for sure!